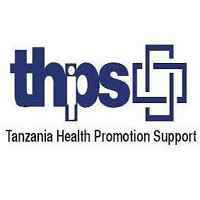 To provide direct technical assistance to the staff at THPS supported health care facilities; onsite staff capacity building on HIV/AIDS clinical management , clinical mentoring, patient flow analysis, improvement of adherence support systems, strengthen of referral systems, etc. To develop with other Advisors and Technical Director the care and treatment-related materials, including job aides, protocols, algorithms and other necessary tools. To assist the Pwani Regional Manager to develop Annual regional work plan and to review its implementation. To assist the Pwani Regional Manager in the development of monthly and quarterly reports. Interested applicants should send an email to hr.thps@gmail.com, attaching application cover letter one-page maximum and CV four pages maximum by February 3rd 2019 with a subject line for example: Clinical Advisor Pwani. Only shortlisted applicants will be contacted. Please do not attach any certificates when submitting online.